Grant Park is a large urban park in the Loop area of Chicago. It is bordered by Randolph Street, Roosevelt Road, McFetridge Drive, Michigan Avenue, and Lake Michigan. 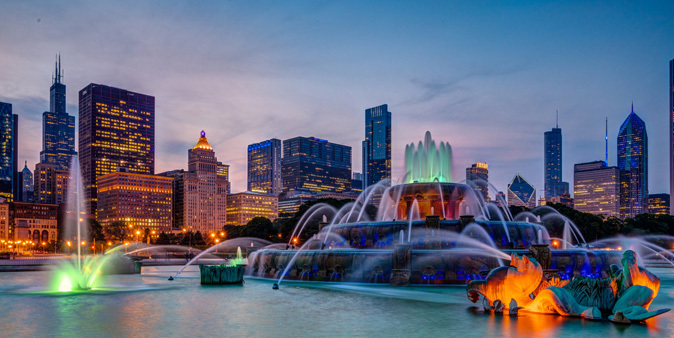 The park’s most notable features are Millennium Park, Buckingham Fountain, the Art Institute of Chicago, and Museum Campus. The park is also home to performance venues, gardens, sculptures and artwork, sporting, and harbor facilities.